For many parents, reading comprehension can be a tough subject to tackle. Where do you begin and how do you know if you’re doing it right? Before we head down this rabbit hole, I think it would be helpful to fully understand what reading comprehension is. “Wow. Good for him.” (As I glance over to see my son wander by with a Hot Wheels car hanging out of his mouth and half a granola bar mushed up in his hand). Sure, statements like that can make you a little jealous, but the reality is that there’s a big difference between being able to read, and being able to understand what you’re reading. That’s reading comprehension – once your child learns to identify and properly sound out words, then it’s time to teach them to understand the overall idea that’s being presented in the text. This will allow them to perform more complex aspects of reading, such as problem-solving, and the formation of their own opinions and conclusions. So, with that in mind, let’s look at a few ideas that can help your kids with their reading comprehension (and maybe help take Billy’s mom down a peg or two). Reading comprehension can be a tough thing for your child if they don’t have a working understanding of the words that they’re reading. Before your child begins to read something, it’s never a bad idea for us as parents to sit down with our children to try new material and ask them if there’s text they don’t understand. Then list the words, write out their definitions, and finally use them in a sentence. This type of repetition will help cement the words into their working vocabulary. This is also where a reading practice program like BrightFish Reading can be used in conjunction with parental instruction to break down difficult passages into easily readable chunks. Let’s face it, if your child isn’t interested in what you’re showing them, they’re going to resist it. My son, for example, won’t eat carrots. He has been this way since he was a baby. There is no rational explanation for it. Sometimes it feels like he’s the only child on earth who doesn’t like them and it can be incredibly frustrating. Nevertheless, it’s a fact of life in our house. Do we fight with him and try to force him to eat the carrots? No, we just give him veggies he will eat. The point is, you know what your children like, and when it comes to expanding their reading comprehension, the job is a lot easier when they’re reading about something that sparks their interest. like, and when it comes to expanding their reading comprehension, the job is a lot easier when they’re reading about something that sparks their interest. There is nothing that will hinder a child’s ability to learn faster than frustration. I’m not suggesting that we shouldn’t challenge our children – far from it. I’m simply saying that we should make sure the challenges do not end up being impossibilities. Remember the first section of this article? Your 5-year-old daughter may be able to read the words in chapter books, but if she doesn’t understand those words, it’s really a waste of time. There is a reason why leveled readers have been successful for so many years. 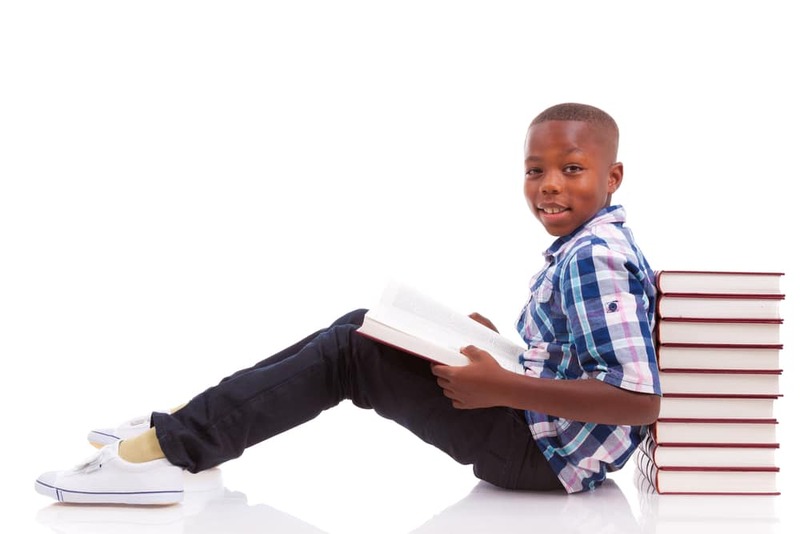 They allow kids to progress in their reading at comfortable levels. There’s one downside to them though. They can’t determine if your child is actually understanding what they’ve read. This is an area where technology wins out; BrightFish Reading tracks your child’s progress and won’t let them move on until they truly understand what they’re reading. Making connections to things that are already familiar to your child as they read can really help to deepen their understanding of the text. Perhaps the book mentions a place or similar experiences to what you had on a recent family vacation. Take the time to talk about what you remember about those places, and invite your kids to do the same thing. Let your child know that good reader’s do this sort of thing all the time, it allows them to make the story more real! You could even encourage your children to try forming a book club with some of their friends. Then they can all talk about their experiences together, and how they related to the story!